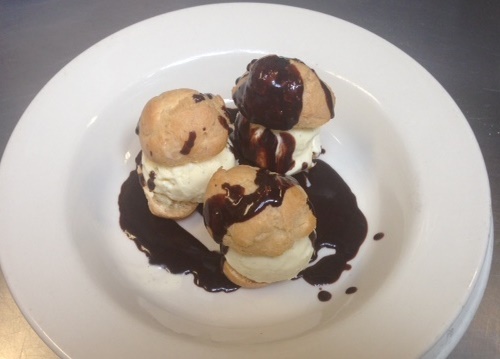 Profiteroles filled with vanilla bean ice cream or the ice cream du jour, with warm chocolate sauce. Last Thursday at Cafe Presse, Pastry Chef Allyson Lanter rolled out new spring desserts to match our spring dinner menu. Spring is an in-between time for desserts, when winter apples, and pears are gone, citrus and tropical fruits are waning but summer berries are not yet here. 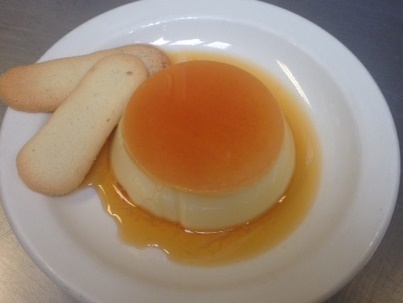 We have decided to take advantage of this “awkward” time to feature a some classic French desserts that have stood the test of time to become favorites. Here are a few photos that we hope you will enjoy! Or check out all our menus here. 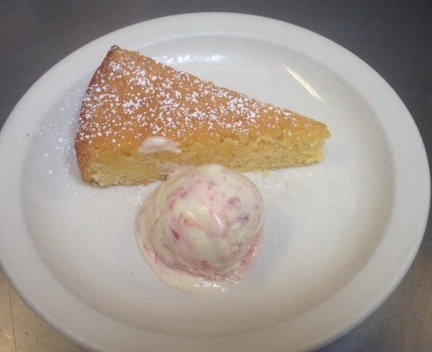 Lemon-corn meal cake served with rhubarb-creme fraiche ice cream.